We’re the one-stop shop for for all your parking needs. With our arsenal of winter-ready products, you can create a custom parking system that includes access control, messaging, payment, vehicle counting, and enforcement. We do more than just sales, though: we can also commission and maintain your on-street or off-street system. Our inventory includes bylaw signs, handicapped signs, curbs, speed bumps, delineators, overhead detection, and anything else your parkade or parking lot might need. We also have people, locations, and parts in major cities across Canada, ensuring a faster turnaround time than any of our competitors. All of our electronics are designed to work normally in extreme Canadian temperatures. They have heaters, blankets, insulation, and other tools built in to keep systems functioning in our harsh climate. We’ve been working in this market for decades, so we know what makes devices work where and when you need them. We have exclusive product distribution rights in Canada with all our major partners. Parking lots, parkades, and street spaces aren’t just convenient places to drop off your vehicle. They’re also a way for your business or community to make money. We have access to the most advanced products and brands in the parking industry, not to mention decades of experience creating and commissioning payment systems. If you’ve seen a parking meter in Canada at any point over the last 30 years, there’s a good chance that it’s one of ours. Let us manage your parking and show you how our expertise can work for you. There are two main types of parking meters: simple (coin operated) and smart (which take cash, credit, and payment cards). We have access to both types of meters, but we always recommend using smart meters to open up more options for users. We’re the exclusive supplier of IPS meters in Canada. IPS builds solar-powered meters for single- and multi-space street parking, as well as add-ons and upgrades for existing systems. Users can pay via cash, credit, tokens, or smart cards. You can use the meters on their own or to retrofit your current meters without having to remove them. You’ll also have access to real-time parking data and a web-based management system. People already rely on their phones for shopping. With our online products, drivers can pay for parking with their phones, too. We offer a wide range of mobile apps, Swipe and Tap & Go payments, custom RFID options, and other tools you can use to collect payment. 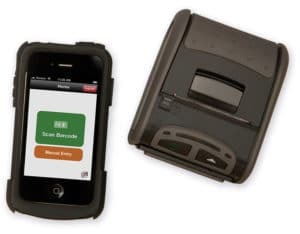 ParkingSoft builds parking access and payment systems to meet the needs of the parking industry. Their web-based software is simple for drivers to use in real time. 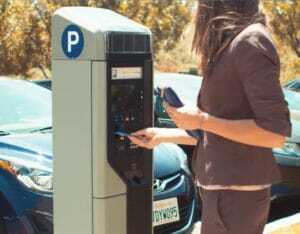 It also reduces maintenance and operating costs while making it easier to collect payment from your parking lot’s users. Parkmobile is an international parking app that integrates with the industry’s top parking hardware, software, and enforcement options. Drivers can register for the app online or by scanning the QR code on parking lot signage. It alerts users before their time expires so they can extend the session, and it can even tell them where they parked. Whether your parking structure is for everyone or just a select few, you need to control how drivers are getting in and out. We provide kiosks and gates from top industry brands like Canada Kiosk, Magnetic Autocontrol, and Tagmaster North America to manage parking access. This keeps the structure in your control whether you’re there or not. A parking manager is often the first or last point of contact for drivers in a lot or parkade. They allow access to the lot and often collect parking fees. 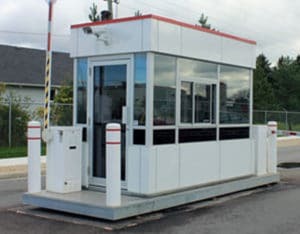 Booths and kiosks protect both your parking managers and your incoming money, which is why we carry a range of Canada Kiosk access control booths. 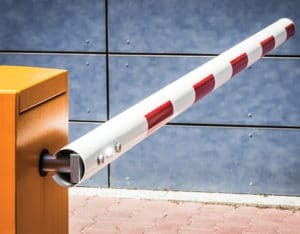 Magnetic AutoControl builds vehicle and pedestrian access control gates for communities, businesses, and facilities around the world. Their products have a well-earned reputation for performing in even the most demanding conditions. TagMaster North America builds long-range, high-performance Radio Frequency Identification (RFID) devices to automatically identify vehicles. Drivers can easily access your parking lot with the swipe of a card, while those without a card will find getting in much more difficult. These convenient products are highly secure, integrate with today’s latest systems, and are less harmful to the environment than many other RFID options. We’re the only traffic company in western Canada that offers vehicle detection as part of a parking system. Around the world, businesses and commercial centres just like yours use systems like this to make parking easier for visitors. Our systems can tell drivers whether or not there are still parking spots available and direct them to those stalls. Q-Free designs parking guidance and information systems. They combine traffic monitoring, processing, and information sharing to tell drivers which parking spots are available in real time. 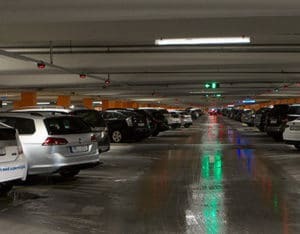 Signal-Tech carries a range of LED signs for parking garages and surface lots. These signs tell drivers which spaces are available in real time. We can service any of these signs as needed. Want to own one of these products? Go to our online store now.